Despite earlier indications, it’s best we don’t expect any Battlefield 1943 downloadable content. “There’s no plans. There’s no plans for DLC,” DICE producer Gordon Van Dyke has told Joystiq. He did however express his excitement over the somewhat unusual creation of the title and says there is a possibility of seeing another game like it in the future. “There’s no specific plans. The success of  has given it an existence within our lineup, in our thoughts. You could possibly see another type of 1943 in the future. But it doesn’t mean it’s going to be based on 1942,” Van Dyke said. 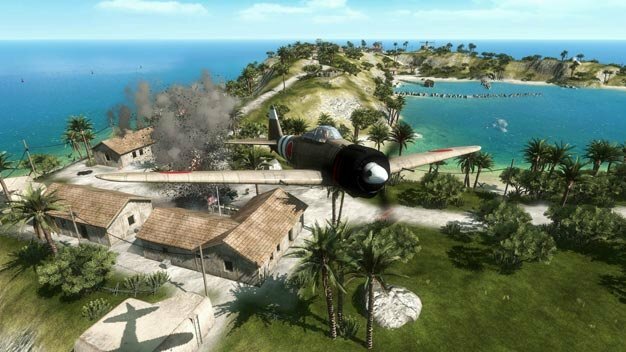 Developing more games like 1943 would fall in line with the remarks made earlier in the week by analyst Michael Pachter revolving around EA’s plans to test premium downloadable content. As for the actual 1943, a PC version of the budget-priced shooter is still planned, along with a patch for the console versions that will address some game issues.